William (Bill) H. Gates is chairman of Microsoft Corporation, the worldwide leader in software, services and solutions that help people and businesses realize their full potential. He was born on Oct. 28, 1955 and today he came to 54th year (19724th day) of his life. Happy Birthday to you Sir Bill Gates. 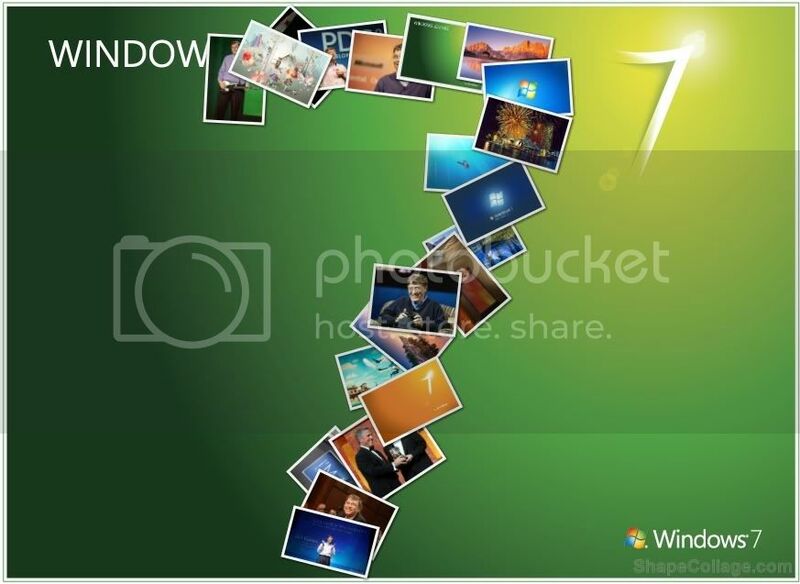 This month Microsoft also released Windows 7 so here is my creation using ShapeCollage to wish Sir billg in that way.